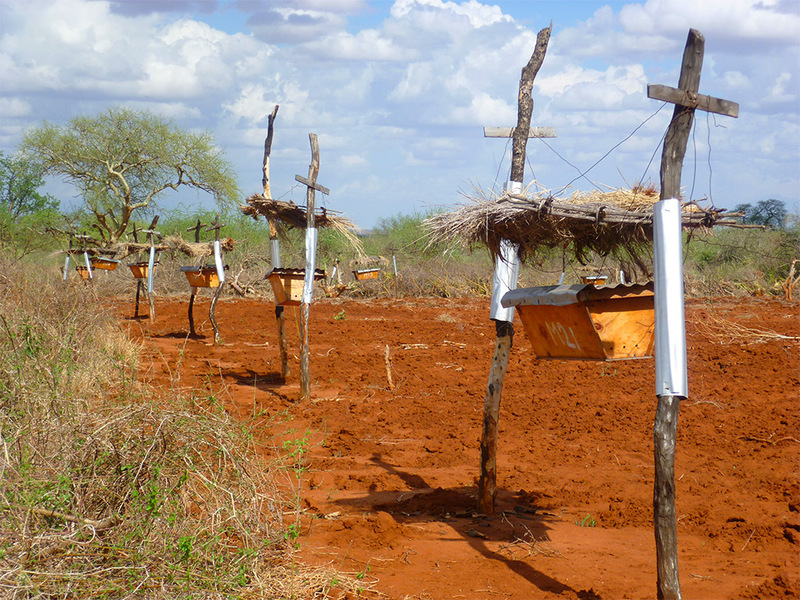 The interaction between bees, bee fence, elephants, and farmers in Africa is only one example of how a natural solution can save lives and bring prosperity to those who use it. There is always a natural, peaceful solution to every issue. These solutions often prove to be much more simple and much less harmful than many of their unnatural alternatives. Although small, bees have a huge positive impact on our health and on our agriculture. 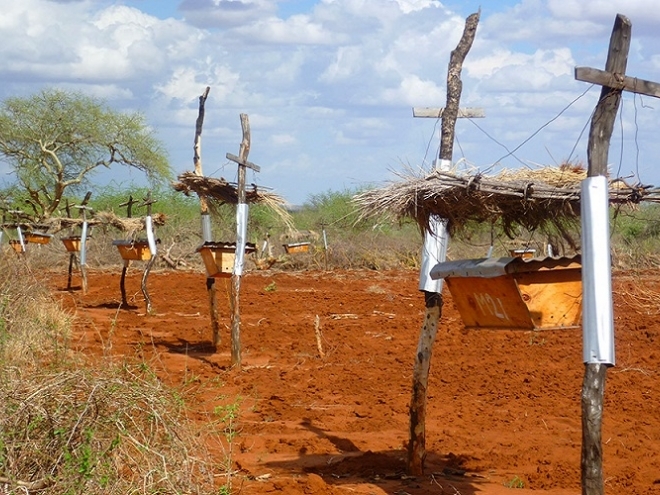 The interaction between bees, elephants, and farmers in Africa is only one example of how a natural solution can save lives and bring prosperity to those who use it. The endangered African elephant is one of the most beautiful and intelligent creatures in the world. Many efforts have been made to save these animals and although elephant populations have increased since the 1970’s, the human population has grown as well. This growth in both populations has decreased the natural habitat of elephants, forcing them closer to farming towns. Due to the decrease in natural habitat, many key elephant migratory routes have been cut off. Because of this, elephants have come in close contact with farmers and they regularly break through fences and ruin crops. The efforts made by farmers to protect their crops has lead to accidents and even deaths of both farmers and elephants. A solution that protects both parties is integral in order to keep peace between farmers and elephants alike. Zoologist Lucy King has a tiny solution to this huge issue: bees. Elephants are terrified of bees and usually stay away from any buzzing that they hear. Although they are much smaller than elephants, bees can cause extreme pain by stinging the inside of their trunks. As King observed the habits of these elephants, she noticed that they tended to avoid acacia trees that had active bee hives in them. King wondered if bee hives would be enough to keep the elephants away from farmed land and therefore save crops and the relationship between farmers and elephants. In 2009, this idea proved to be extremely successful. Out of this, came the beehive fence. These fences are simple and inexpensive ways for farmers to keep their crops safe. 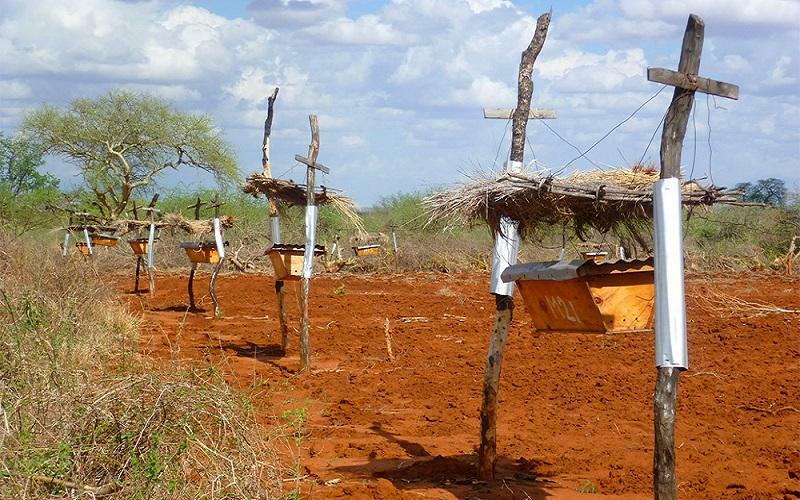 Easy to build and maintain, these hives have thatched roofs that keep the bees dry in the rain, and keep them from getting overheated in the sun. These fences also help pollinate crops and bring additional revenue to farmers who harvest the bees honey. This is a fantastic example of interspecies landscape engineering. There are active fences in Kenya, Botswana, Tanzania, Uganda, Sri Lanka, and Mozambique. What do you guys think of bees fences?